Over the weekend I made a delicious dessert for Luke and myself - Banana and Maple Syrup Puddings. Turn fan forced oven to 180 degrees. Mix sugar, maple syrup, egg, butter, banana and flour until combined. Place mixture into 2 x 250ml oven dishes. Bake for approx 25-30 mins (or until golden and skewer comes out clean). 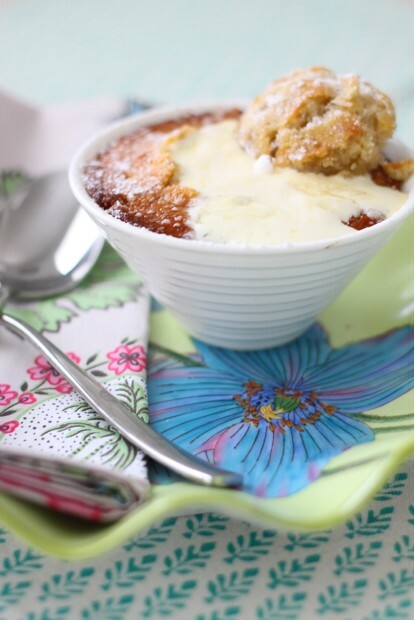 Serve warm with sprinkled icing sugar, thickened cream and additional maple syrup. Mmm ... looks very nice and tasty! Wow, Kellie, those look delicious! I think I´m gonna make them this week, I feel like I want to make something special... Thanks for sharing! This does look good enough to break a New Year's resolution for! Thanks for the recipe! That looks so good. Anything with bananas, sugar, and maple syrup has to be great. I need no temptation. It looks beautiful. Coming from Canada .... this would be the national dessert. Thanks for sharing such a delicious treat. Looks fab Kellie.....I love that plate! Happy New Year to you. My mouth is watering yum! H E A V E N!!! Do you think it would be wrong to make this in the morning and eat it for breakfast / morning tea? 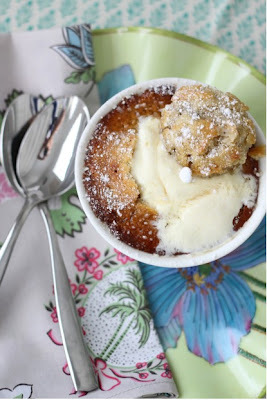 Beautiful blog...and now I will go to bed and dream about this amazing pudding. Dreaming doesn't have calories, right? This looks yummy! I am going to give this a try as soon as I fall off the healthy eating wagon. Thanks for the recipe! I don't know what I like more, your blog or this recipe! Actually BOTH! :) Thanks for sharing.